If you owe a creditor money, you may think that it is a good thing if that creditor stops attempting to collect the debt. Note, however, that if a creditor cancels or forgives a loan, it may report that portion of the debt it canceled to the IRS as if it was income it paid to you. Here is how it works: When you borrow money, the money is not taxable because you have an obligation to repay the loan. However, when that debt is canceled, that obligation to repay ceases, and you may have an obligation to report that canceled portion as income on your tax returns. The creditors have gained a valuable tax deduction for the cancelation of a debt - a debt it likely would not be able to collect in any event - and now the borrower may be subject to substantial tax consequences as a result. The tax consequences resulting from the cancelation of debt is especially concerning when the creditor is the mortgage company. Rather than pursuing a deficiency judgment (the difference between the amount owed and foreclosure sale price received at auction), the creditor may "write-off" or cancel the deficiency. The same can be said for car loans after the car was turned over or repossessed. 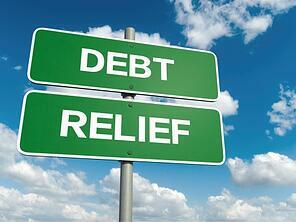 There are some exceptions to whether the cancelation of debt is taxable to a borrower. One particular exception is provided for in the Mortgage Forgiveness Debt Relief Act. The Mortgage Forgiveness Debt Relief Act generally provides that the cancelation of debt due to the modification or foreclosure of a principal residence is not taxable. This Act was enacted in December 2007 and extends through the year 2012. One other exception is the filing of bankruptcy. Upon filing bankruptcy, the debtor is presumed to be insolvent and the debts discharged through the bankruptcy are not taxable income. Of course there are exceptions to the exceptions, and whenever the tax code or bankruptcy code is concerned, you should consult with an experienced professional for guidance. If you need help with debt relief, contact one of our attorneys today by calling 973-870-0434 or by contacting us online for a FREE consultation.